With the Atlantic hurricane season being right around the corner, NOAA just released its hurricane outlook for the next few months. Expecting this season to be “near or above normal”, NOAA is predicting 10-16 named storms to reach tropical storm strength or higher. On average, there are typically 12 named storms per hurricane season. 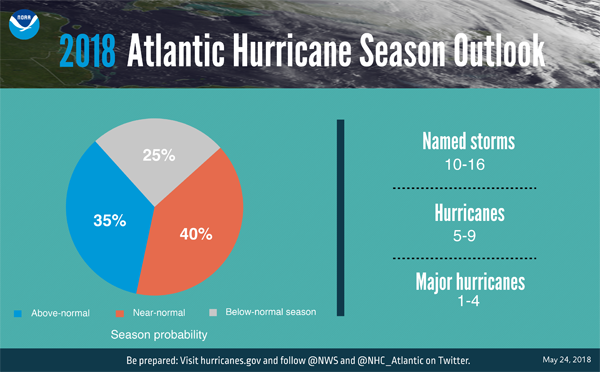 NOAA recently released its Atlantic hurricane outlook for the upcoming season, and is expecting a near normal season. Out of the named storms expected in the Atlantic, NOAA is predicting that five to nine of those will become hurricanes this season. Major hurricanes are storms that reach Category 3 strength or higher, with sustained winds over 110 mph, and this year one to four storms are predicted to reach major hurricane strength. The Atlantic hurricane season, which goes from June 1 to November 30, typically peaks during August and September, when the water temperatures are the warmest and the ocean and atmospheric conditions are the most conducive to hurricane development. 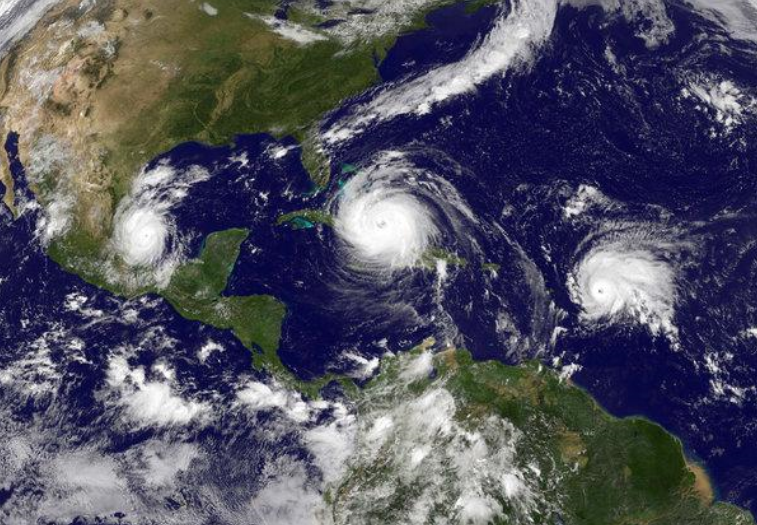 As if on cue during last year’s hurricane season, there were three hurricanes in the Atlantic Ocean simultaneously in early September, for the first time since 2010. Although the hurricane outlooks provide helpful guidance to those curious about the upcoming season, it’s important to note that the number of hurricanes predicted doesn’t indicate the number of storms that will make landfall or the impacts that they will have. As of May 24, there was a disturbance in the Gulf of Mexico with a 70% chance of tropical formation. Be sure to stay up to date with the National Hurricane Center for the latest information during hurricane season.